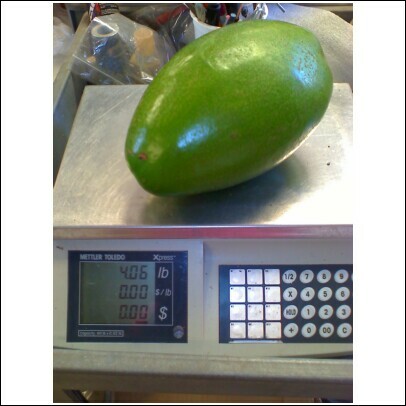 Today we were picking avocados for the Saturday summer orders, and we came back with several well over 3 pounds. This one weighed in at a whopping 4.06 pounds! Oooh, mama!! A 4-pound avocado!